There are many factors involved in angling, water temperature is one of them and especially important in winter. I take mine every time I go fishing and on this page I share them. They may not be your venues, but what they will do is give you a general idea. In particular, it’s not just the temperature itself, but the trend. February 3. 3.3C Staffs/Worcs Canal. Canal partly frozen, minimal boat traffic so fairly clear. February 4. 3.2C Staffs/Worcs Canal. Temperature continues to fall. February 5. 3.1C Staffs/Worcs Canal. The lowest temperature of the winter so far. February 6. 5.7C Midlands brook. Temperature higher than other venues I’m aware of. February 7. 5.0C Midlands brook. Same venue, sharp overnight frost affected temperature. February 10. 4.8C Staffs/Worcs Canal. Relatively mild spell has pushed temperature up over 50% in four days. February 12. 5.3C Shropshire pool. Totally iced over two days ago. February 13. 6.4C Staffs/Worcs Canal. 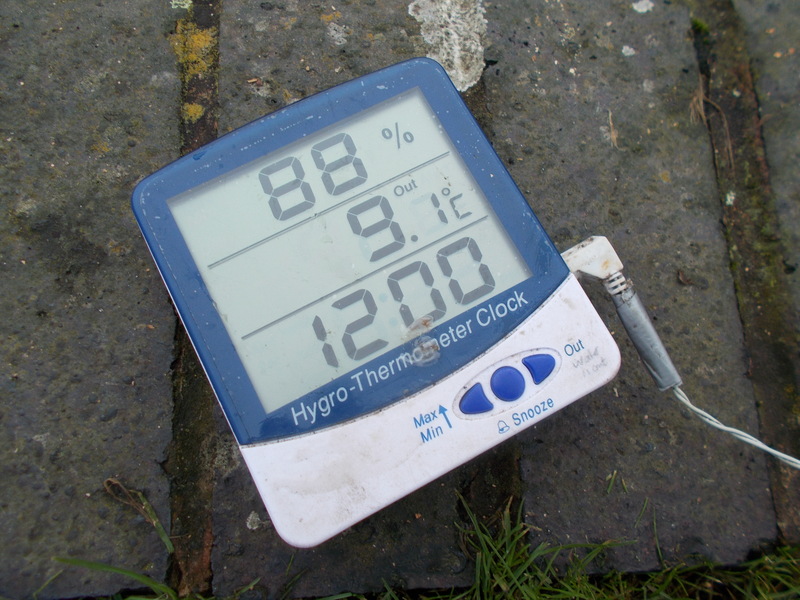 Lack of overnight frosts and relatively mild daytime weather is pushing temperature up. February16. 7.1C Staffs/Worcs Canal. Boat traffic still very minimal, although it is half-term week. February17. 7.2C Staffs/Worcs Canal. Temperature stabilised, slight increase. February18. 7.3C Staffs/Worcs Canal. Heavier boat traffic, water more coloured as a result. February 19. 7.6C Staffs/Worcs Canal. Mild overnights affecting temperature in the positive. February 20. 7.5C Staffs/Worcs Canal. A morning temperature as opposed to last one, an afternoon. February 21. 7.9C Staffs/Worc Canal. Cold overnight but air and water temps don’t move at the same rate. Expected to fall though. February 24 6.1C Staffs/Worcs Canal. Cold spell and the water is back down. February 28 8.2C Staffs/Worcs Canal. Milder nights and SW wind sees the month out with an upward trend.